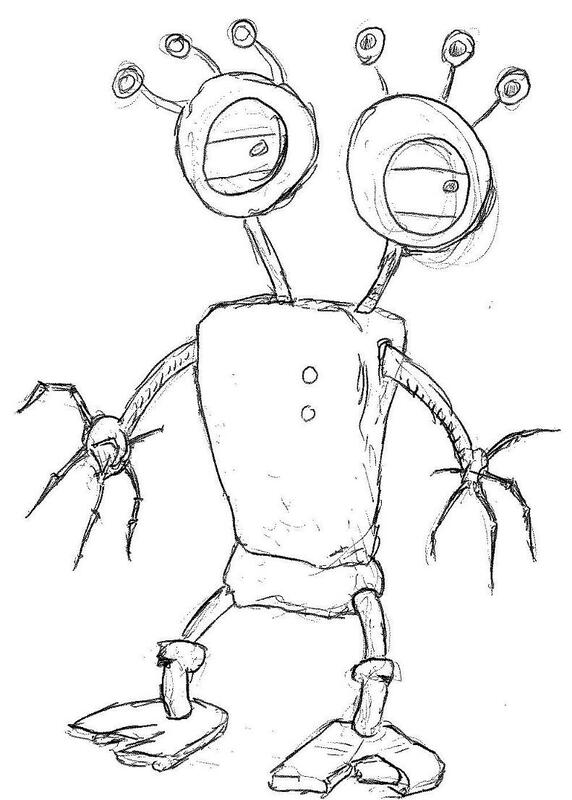 Just a quick sketch, but I’m sure this thing was tapping on my window last night. It was really tiny, say the height of a golf-tee. I think there was only one, but there may have been an army. (oh yeah, click on the picture for the full-size image, which is 8 times life-sized). This entry was posted in fiction and tagged robot on 2 June, 2010 by Sean Monaghan. I LIKE. Draw some more.